Indulge in a magical experience in the heart of the towering Himalayas. 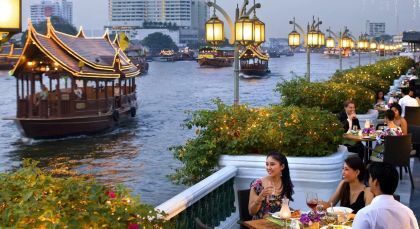 Travel through a hidden realm of incredibly beautiful landscapes and discover a unique culture and heritage in the mountain kingdom while you rest your head in lavish Amankora accommodations, which are known for luxurious and seamless hospitality. 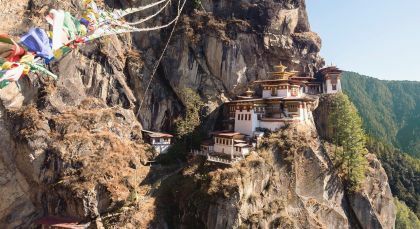 This exclusive private trip to Bhutan is pure delight! Phobjikha Valley is a stunningly vast U-shaped glacial landscape also known as Gangtey or Gangteng Valley after the impressive Gangteng Monastery. The picturesque valley, set against the backdrop of the towering Black Mountain Range, offers rich biodiversity and is popular for its scenic splendor and cultural uniqueness. Escape to the great 17th century Wangduephodrang Dzongkhag (monastery) of Gangtey, which is revealed on the slopes of the fabulous mountains surrounding the town of Wangdue Phodrang. From the center, you can trek to Phobjikha Valley, where you will find Gangtey Goenpa perched on a small hill that rises from the valley floor. 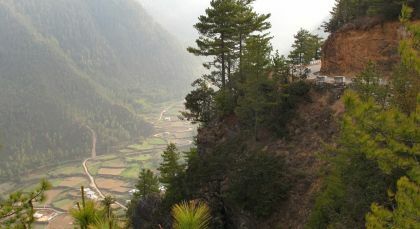 This is one of Bhutan’s most beautiful spots and it’s surrounded by a large village inhabited by the families of 140 gomchens (priests) who care for the monastery. 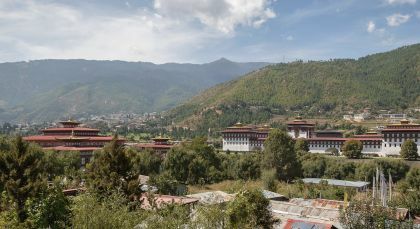 Home to the main seat of the famous saint who founded the Nyingma school of Tibetan Buddhism, this is the biggest Nyingmapa monastery in Bhutan. Breathe in the stunning scenery of Black Mountain National Park. Mysterious mountain fortress! Comprising four smaller valleys, Bumthang has an individuality that charms its visitors and separates it from other regions. 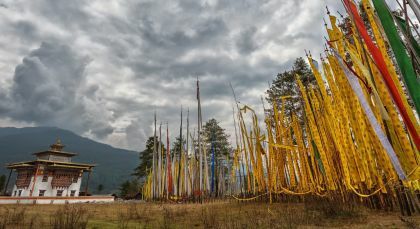 Bumthang, the general name for four valleys – Chumey, Choekhor, Tang and Ura – is home to several prominent Buddhist temples and monasteries. Visit Budhhist temples and monasteries like Tamshing Lhakhang temple, boasting some of the oldest historical Budhhist wall paintings. 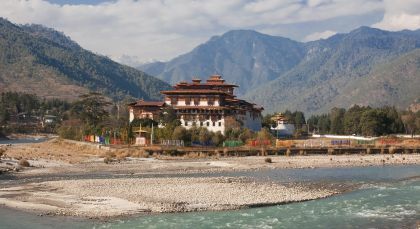 ‘Jambey Lhaqhang’ is a 7th century temple, whilst ‘Kurje Lhakhang’ is one of the holiest places in Bhutan. Visit the fortress of ‘Jakar Dzong’, the region’s administrative nerve center; and Lhodrakh Kharchhu Monastery, a part of an extensive effort to preserve and revitalize Tibetan culture that houses almost four hundred monks. You can explore the local market too!